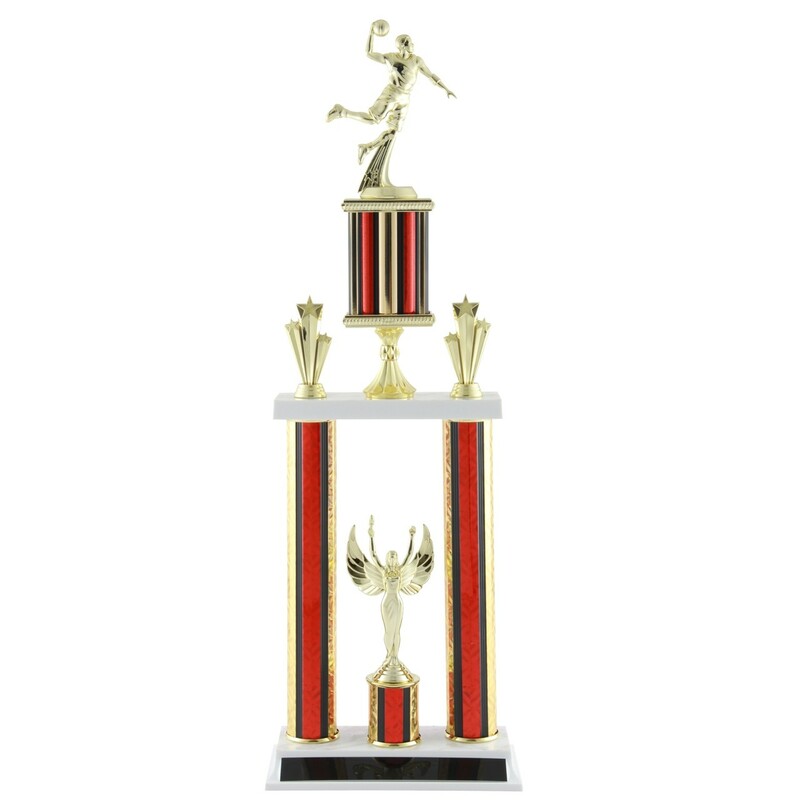 Deluxe Male Basketball Tournament Trophy - 25.5"
This Deluxe Male Basketball Tournament Trophy - 25.5" has sparkling column in your choice of red, blue or green along with a 6 inch boy basketball player on the top! A golden winged victory figure and shooting stars trim are also featured in this grand trophy. 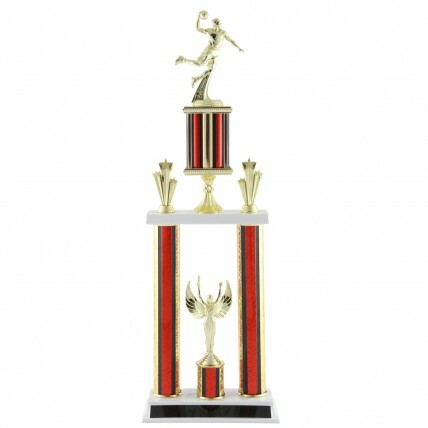 At 25 ½ inches tall, this is the ultimate award for your basketball winner.